According to the Center for Disease Control, our environment is extremely toxic and everyday we expose ourselves to 50,000 different chemicals. I’m not just talking about toxins in metal and plastic, but in our processed food, in the air we breathe, and in the water we drink. Our bodies are tapped out and are unable to process all they are subjected to. We may not even be aware of how toxic we are until we get sick. If your body feels run down, exhausted, or you are showing signs of depression and extreme lack of energy, you may be suffering from toxicity. Toxicity not only affects our health, but our appearance. By increasing inflammation, it accelerates the aging process that ultimately causes weight gain. Dr. Paul Dell’Aquila and the Preventive and Restorative Center in New Jersey were kind enough to enlighten me more about toxicity and the treatments available to fight it. • Polybrominated diphenyl esthers (PDE’s) – Used as a flame retardant, it can cause damage to the nervous system, the liver, and the kidneys. • Bisphenol A (BPA) – Found in plastic products and food packaging, this product has been found to be estrogenic, which can potentially impact the health of children with long-term exposure and affect reproductive and developmental systems. • Perfluorooctanoic acid (PFOA) – Used in non-stick cookware, food packaging, stain resistant clothing, and heat-resistant products, this toxin contributes to infertility and has also been associated with liver and immune system problems. • Acrylamide – A carcinogen formed when carbohydrate foods are cooked in high temperatures such as french fries, fried chicken, and even baked breads. Also used in plastics, cosmetics, and water treatment products, this carcinogen has been linked to various types of cancer and neurological dysfunction. • Mercury exposure – This comes from eating seafood but most commonly from amalgam fillings in our teeth. Mercury toxicity can cause neurological manifestations that can lead to permanent brain damage. It also increases the risk of heart disease. • Methyl tert-butyl ether (MTBE) – Used as a gasoline additive in the past, exposure can most commonly come from second hand smoke. It has also been linked to neurological and reproductive problems. To analyze your toxicity level, Dr Dell’Aquila recommends everyone to undergo a serious detoxifying protocol supervised by a metabolic and functional medicine physician or health practitioner. If you are unable to go to a professional, over the counter detoxification kits exist too. I have tried a couple and was amazed by how much better they made me feel. This cleanse consists in taking 5 juices over 12 hours that contain vital nutrients, enzymes, and biophonic light energy. The cleanse I did included 16 oz Purify, 4 oz Ginger Bomb, 16 oz SuperCider Longevity Tonic, 16 oz Green Sunshine and 16 oz Restore. I fell in love with how I felt instantly after drinking the first juice. I immediately felt any lethargic feeling, depression, anxiety or tiredness instantly draining from by body. By detoxifying your digestive system, the cleanse helps you regain all your vital functions, restore your mental clarity, gives you a sense of peace, health, strength, and boosted immunity. It is one of those things you truly have to experience for yourself to know why you need it. Chemical free, dairy free, gluten free, and kosher certified, the juices use cold press extraction to ensure that they keep the maximum level of nutrients. 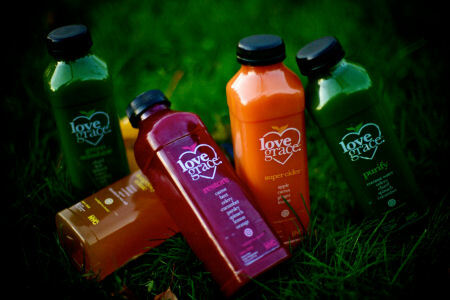 Love Grace Foods will deliver the juices fresh to your door every Tuesday or Thursday so you can conveniently schedule cleansings on a regular basis anywhere in the New York City area! Another great cleansing kit made in California that can be sent conveniently to your door. Kaeng Raeng is a vegan cleanse consisting of juices that work as meal replacements. It comes in a box with 9 pouches containing the powder of different freeze dried fruits as well as non GMO soy protein, vitamins, essential amino acids, and probiotics. These will flush out toxins from your digestive system, your liver, and colon according to your needs. I started at the beginner level. But after a while you can move to Veteran and Master. The way I like to take Kaeng Raeng best is by mixing each pouch with organic fruit and coco juice to make a creamy and filling smoothie that settles my stomach by disciplining it and eliminating cravings. On the first day of my three-day cleanse, I felt revitalized with a new sense of optimism, health, and possibility. Created by certified personal trainer Lindsay Reinsmith, Kaeng Raeng means “be healthy, be strong” in Thai. Celebrity fans include Jennifer Lopez, Alicia Silverstone, and Lauren Conrad. If at any point during your detox or cleanse you feel weak and want to supplement with food, servings of fresh organic fruit and vegetables are recommended. I felt moments of low energy through out my cleanse, which is normal, but don’t confuse these moments of lower energy with your usual lethargy. They result from cleansing and purging your body of toxins and are compensated by a mental clarity and a renewed lust for living. Some scientific studies have reported that milk thistle may aid people whose liver has been damaged by industrial toxins. 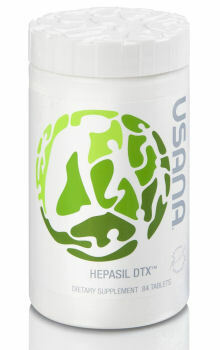 To support your liver long term and in a gentle natural way, you can start using Usana Hepasil DTX that contains doses of Milk thistle to stimulate enzymes in the liver. Various antioxidants like green-tea extract, Olivol®, and turmeric help protect against oxidative stress. Hepasil DTX contains also n-acetyl l-cysteine and alpha-lipoic acid that help the natural detoxification process and support the liver. Another product to help support your taxed digestive system and aid in detoxification is Usana Digestive. It contains blue-green algae, a “super food” rich with chlorophyll. Chlorophyll helps your body to eliminate toxins from the body. Toxicity is not a small thing. These toxins find their way down to our cellular level where mutations of cells associated with cancer can take place. One of the nice side effects of these cleansings is that I lost weight, whihc compared to the amount of energy and mental clarity I had experience was really more an added bonus. Weight gain I learned can also be a side effect of toxicity. The body is overwhelmed by substances it cannot digest or use, which cauuses your body’s metabolism to slow down or cram your body’s overall functioning. Whether you want to treat yourself to a full detox protocol in a specialized center or use over the counter remedies and kits, detoxifying is something that you just cannot afford to ignore. Whether you are looking for long-term health goals or an immediate sense of renewal and energy, I guarantee that once you try them, you will make them a part of your everyday life. I know I sure did.